First of all, we want you to know that we work hard everyday to try to keep the game free from hacking. We are thankful for all the reports you send us, as they help us block the users that manage to violate our security systems. Before you make a report, however, you need to evaluate correctly if the user is really using an illegal program or if he just plays better than you. Remember that if you are a level 1 player and you fight against a level 40 player, the second one will very likely win. But don't despair: practice makes perfect! ► Every report you send us is analysed by our team that spends nearly 5 minutes to check it. We receive 600 reports a day, and every 1200 reports, there is only one that actually reports a user that hacks. ► 99,9% of hacking users are detected by either one of the two detection levels Zula has. The first system detects and disconects the user automatically. If the first one doesn't work, the second system notifies us of the hacker. This procedure allows us to evaluate the PC process, what is influencing the game and what is the user doing. From that moment on, we can establish if the player is hacking or not, and if he is, we can penalize him. ► Our system detects all the illegal programs on a PC. If there's a hacking program but it's not been used while the game is open, nothing happens. Programs like cheat engine, extreme injector, hacker process, speed hack, wallhacks, speedhacks, etc are detected inside the game by our protection systems and we are informed so we can take the appropriate measures. ► If a user is blocked from a PC more than twice, he won't be able to access the game from that PC anymore. Even if you change the IP or the mac address of your PC, you won't be able to access Zula. 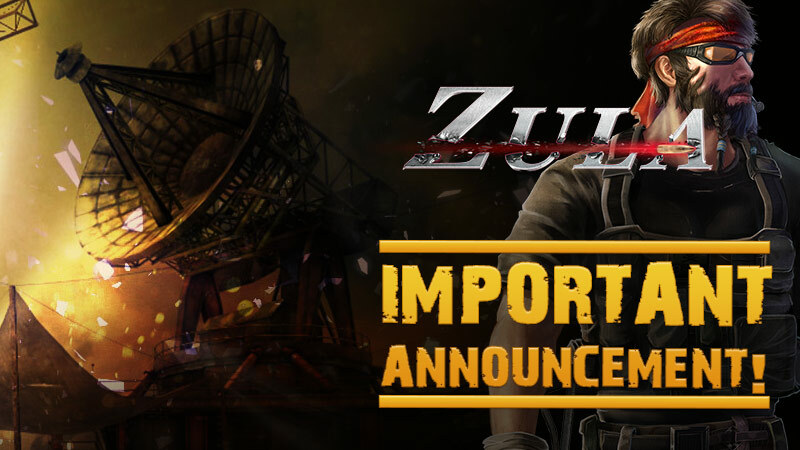 If you receive the message: "You can't access Zula from this PC", your PC has been blocked. That'll teach you not to hack! ► Due to our aggressive policy of bans, we just have 6 or 7 penalizations a day in the last weekd. This means there is no haking inside the game: you must be very sure before you make a report. ► Our goal is to keep the game clean and to create a space where everyone can play with the same conditions and without tools that can jeopardize functioning of the game. ► Remember that every report you send us is been checked, and if it's false, that takes time from us that could be employed to create event and activities to improve the game. Be sure before you make a report that the player is really doing something wrong. To keep the game free from hacks is a responsibility we all have, and if you help us, we can keep on improving our games.